For the past seven months, I have been making my DREAM reading notebook. I wanted something that was rich with rigor, differentiated, and easy to handle. 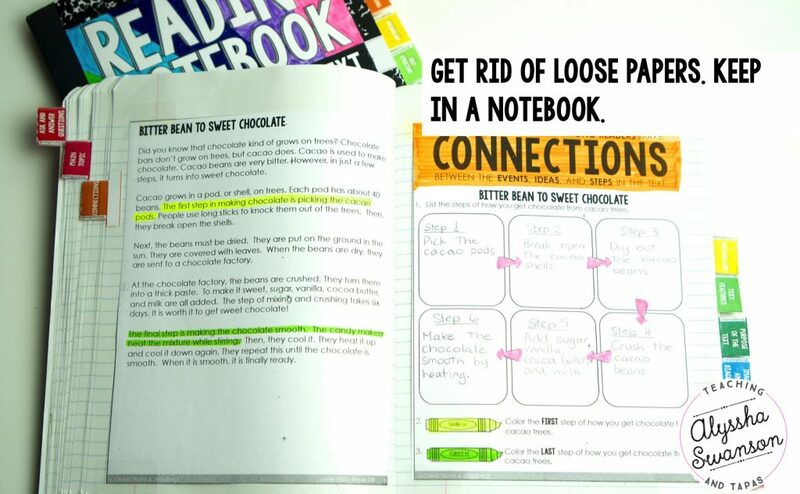 I knew a notebook was the solution because loose papers drive me nuts! I wanted a place for EVERYTHING. This is it! In fact, this “notebook” could easily replace any teaching curriculum you have. It could also just be used as a supplement to fill in the gaps where needed. 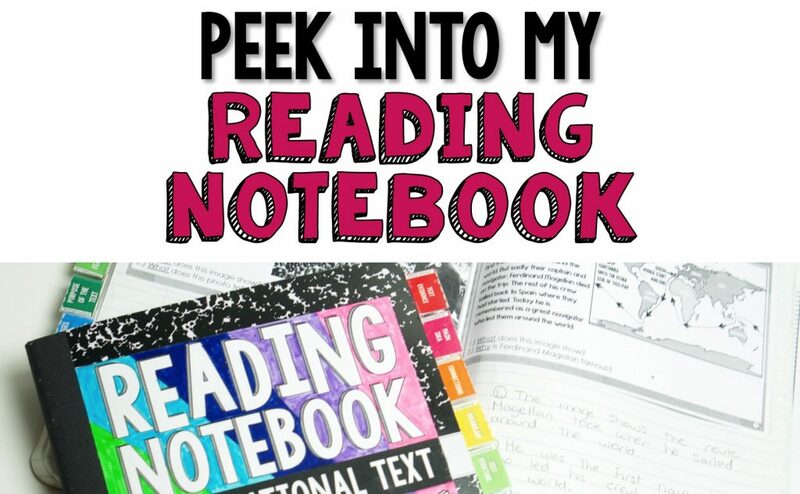 Check out what I have included and you will see that it is WAAAAAAAY more than a “notebook”! 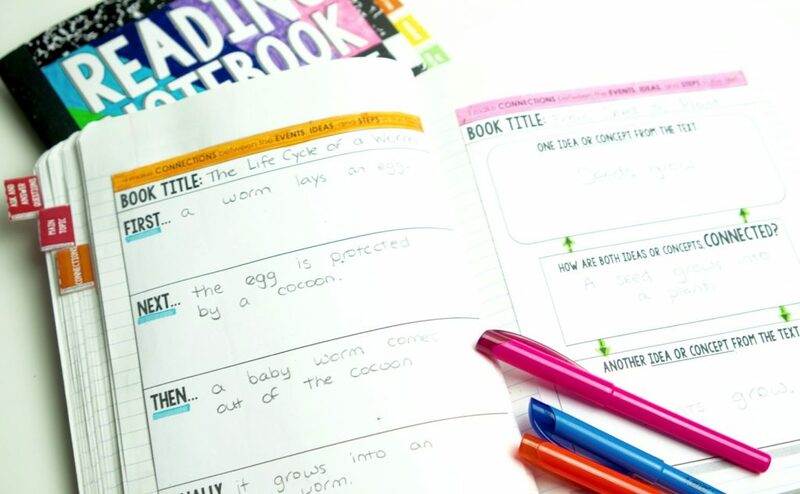 Let me start by sharing how I use the notebook with my students. 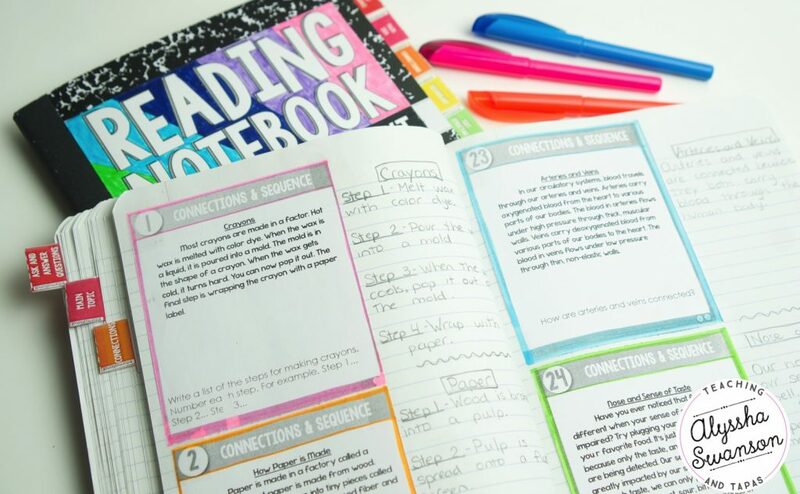 When starting the notebooks with your students, you, the teacher, do not have to do much. The supplies included are made with simplicity in mind. Just give students a notebook and the cover page for them to cut and color. The pack includes tabs for each unit. You can print them in color or in black and white. You want as much space as possible for each chapter because there are a TON of materials in here. For example, if your notebooks have 120 pages and there are nine units, then split the chapters up with 13 pages each. Definitely plan on using double sided pages. Like I said, there is so much that you will want to fit in here! Start the unit by introducing the learning goals. I sit at the rug with my students and an anchor chart pad. Using the charts below as a guide, we discuss the reading habits that we’ll be working on during the unit. You are going to discuss the big ideas as a group. 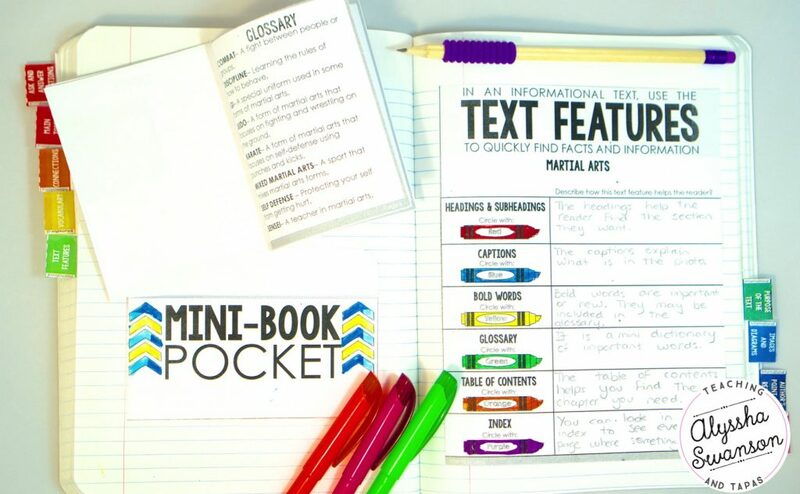 Give students a copy of the mini charts to put into their notebooks. 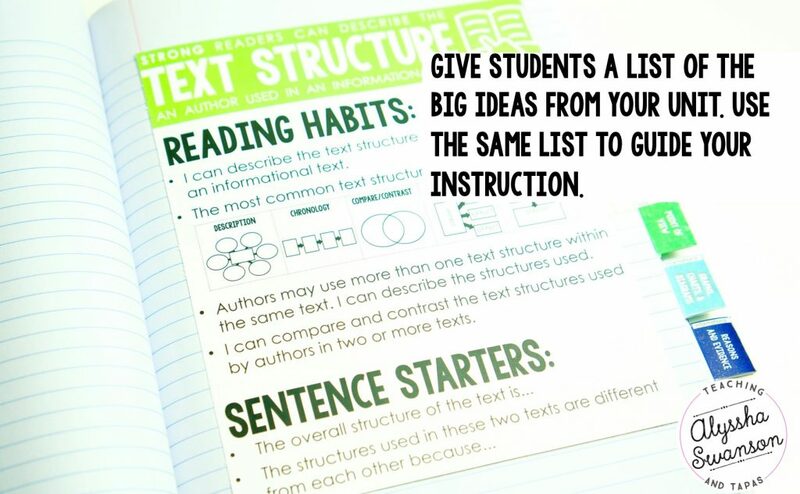 Next, I suggest using mentor texts to model how to use these reading habits. During the Interactive Read Aloud, I focus on one skill at a time. 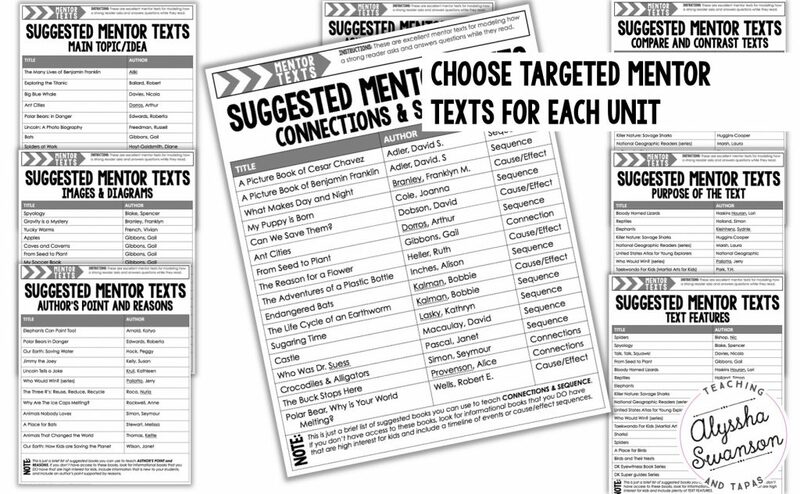 In these packs, I have included suggested mentor texts for each unit. After I have modeled the reading habits in my Interactive Read Aloud, I let the students practice the habits themselves. 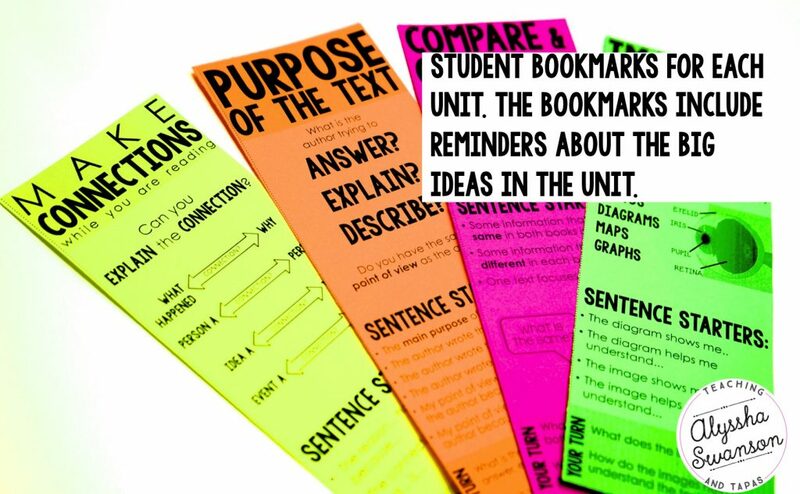 I give each student a bookmark reminder (included in the pack) of the skill they are working on. As they read, they practice using the reading habits and sentence starters that I have modeled and that we have discussed as a group. 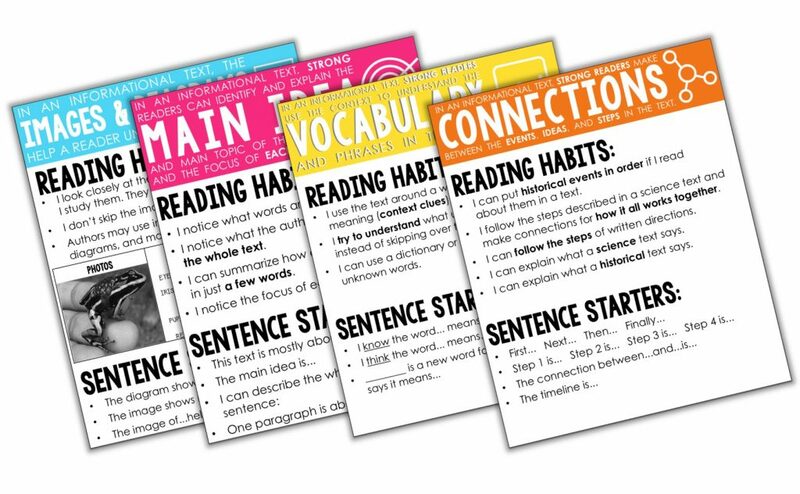 I expect the students to use these skills and bookmarks throughout the year, so there is a storage pocket included in the notebook for the students to keep their bookmarks. 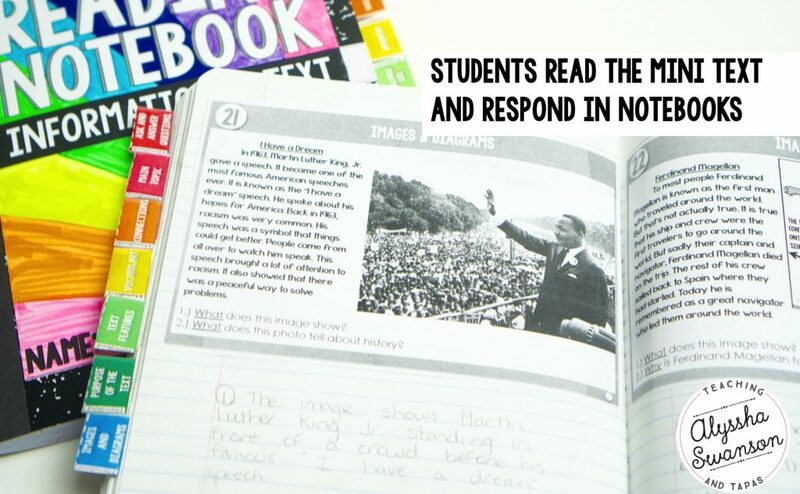 Students can record how they have used the skills in their reading notebooks. 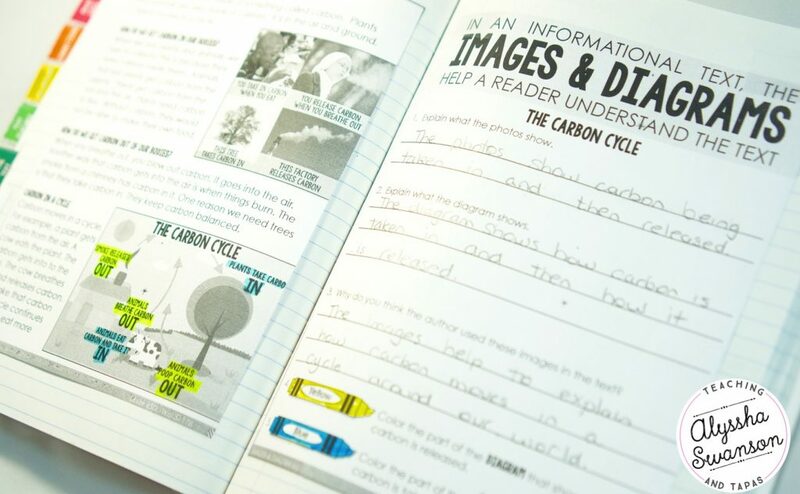 Each unit includes several graphic organizers related to the reading habit/skill. 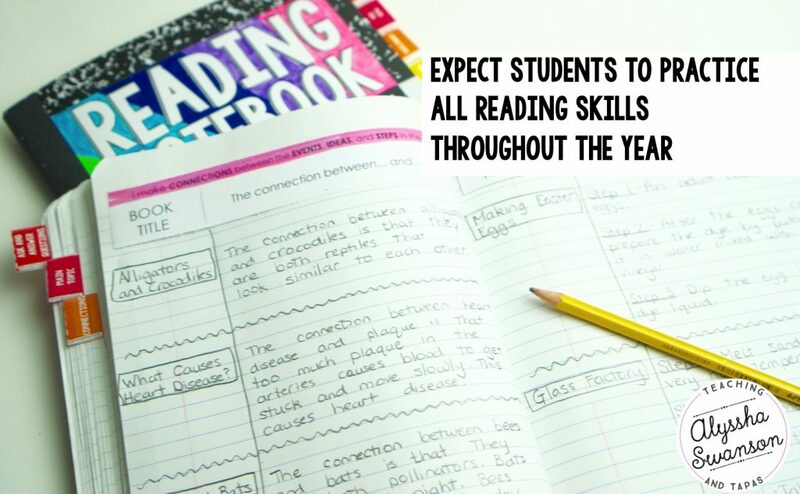 When students are ready to delve deeply into a text, it is time for close reading. 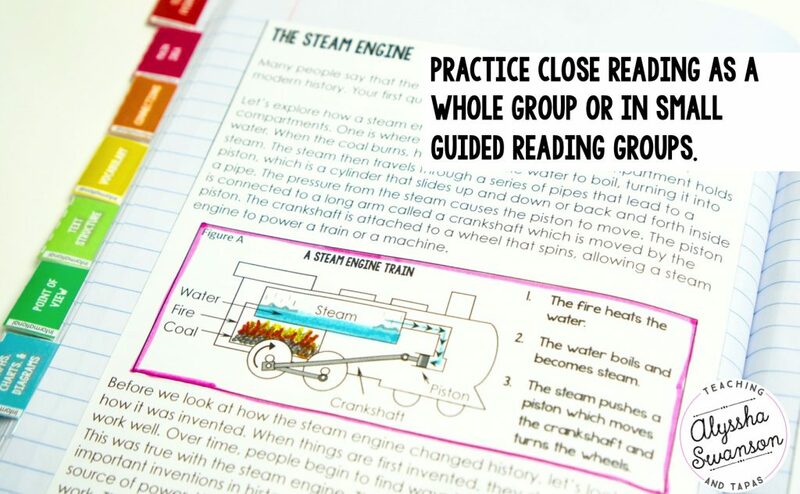 I prefer to do close reading tasks in small groups. 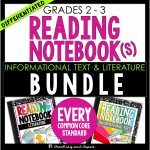 The close reading tasks in this pack are perfect for guided reading groups. There are three passages per unit (six passages in units requiring paired passages). 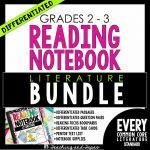 The passages are all differentiated into two different levels (on grade level and simplified text). Here is an example of a close reading passage from the 2nd/3rd grade informational notebook. There are two reading level options. 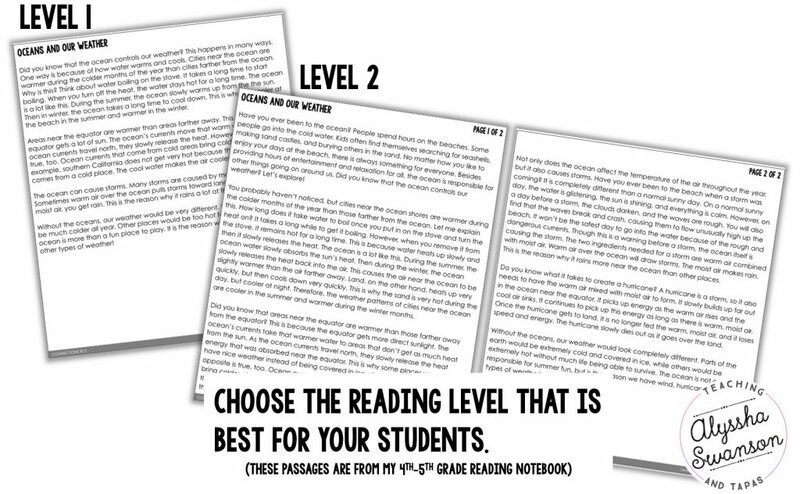 There are two options for the activity page that goes along with each of the close reading passages. In the 2nd/3rd grade pack, one is more closely aligned to the 2nd grade standards and the other is more closely aligned to the 3rd grade standards. You can use either activity page with either option of the reading passages. 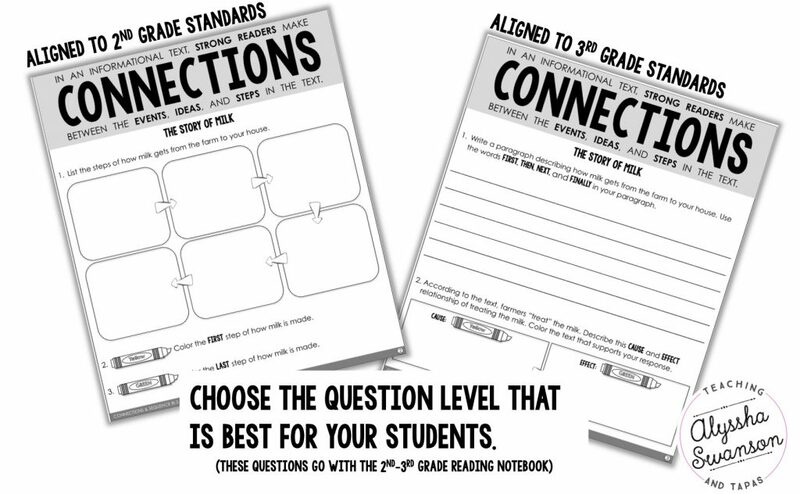 This works perfectly for expanding your differentiation options. Here is an example of a close reading passage from the 4th/5th grade informational notebook. There are two reading level options. 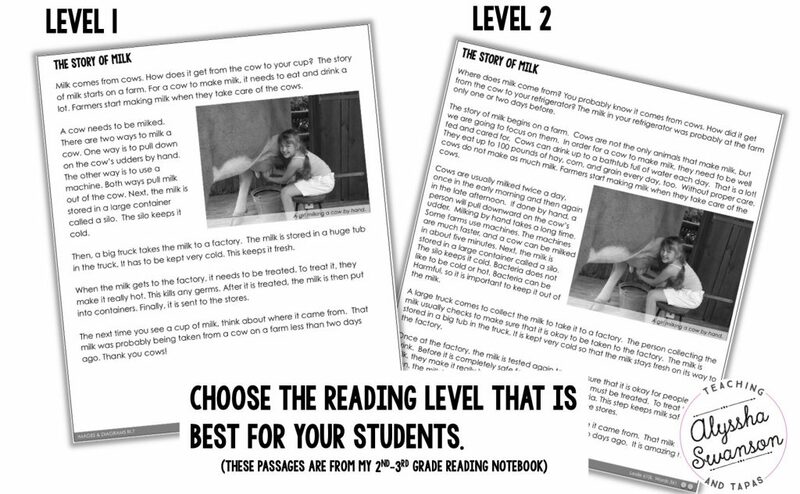 There are two options for the activity page that goes along with each of the close reading passages. 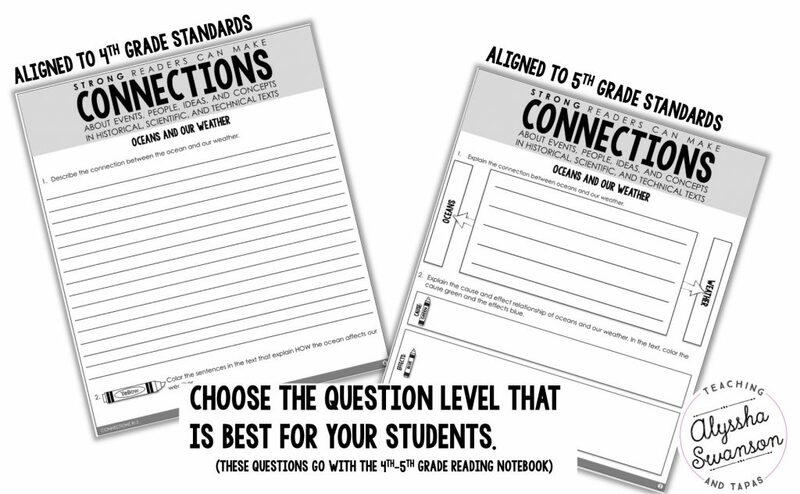 In the 4th/5th grade pack, one is more closely aligned to the 4th grade standards and the other is more closely aligned to the 5th grade standards. 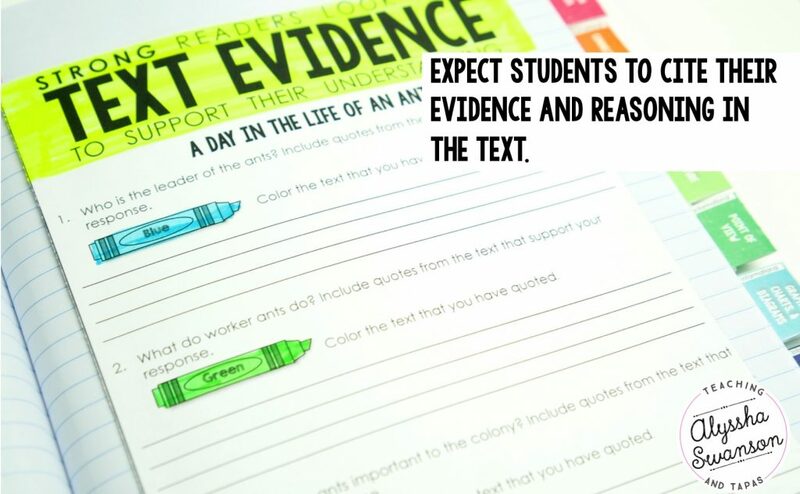 The close reading tasks give students many opportunities to support their thinking with text evidence. I make them go back and PROVE their response with color coded evidence whenever possible! These packs include SO MANY illustrations, maps, diagrams, photos, timelines, etc. Like I said, I wanted to make my dream reading product which meant making it easier on myself when it comes to the search for images that my students could really learn from. I made it so that every page fits perfectly into a notebook. There isn’t a ton of tedious cutting and pasting. It is just simple rectangle cut-outs. 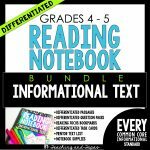 HOWEVER, if you don’t want to use everything in a notebook, YOU DON’T HAVE TO because I have also included an option for full-size page worksheets for EVERYTHING IN THIS PACK. In my twelve years of teaching, I have always dreamed of something as thorough as this product! I thought of EVERYTHING you need. That is why it took me seven months to make 🙂 I included mini-books and website simulations so that a teacher could have everything needed right at their fingertips. Perhaps the best part of this pack is the huge assortment of task cards. I consider these way better than a typical task card because each card includes the text on the card. Each unit includes 24 task cards. They are differentiated because the cards are in order from easiest to most challenging. 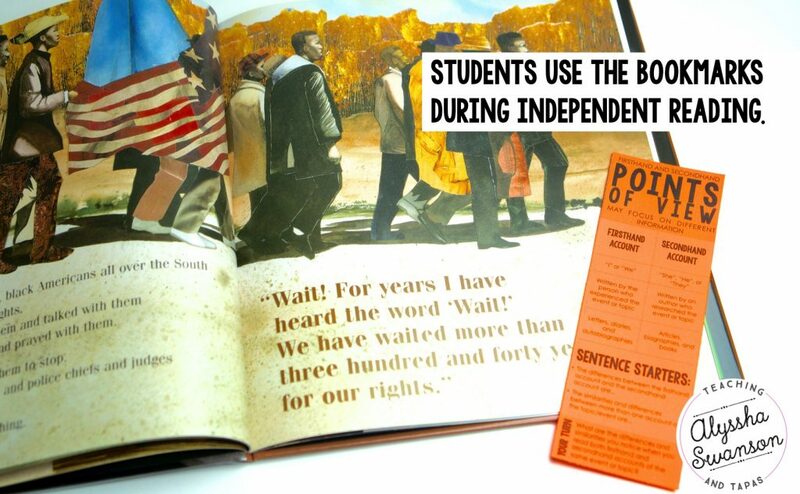 Twenty-four task cards per unit means that the entire notebook includes over 250 of these task cards! This gives your students plenty of opportunities to practice. Think about all of the quick practice you’d get in with these task cards! After the unit is “completed” and it is time to move onto the next unit, I certainly don’t want to forget about the reading habits we just learned. Spiraling throughout the year is so important! I’ve included prompts for students to return to and respond to throughout the year. As always, if you have ANY questions, send me an email and ask away!